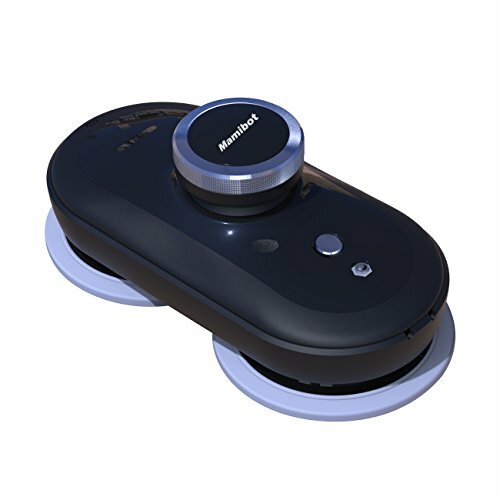 Why buy a window cleaning robot ? How to choose your window cleaning robot ? 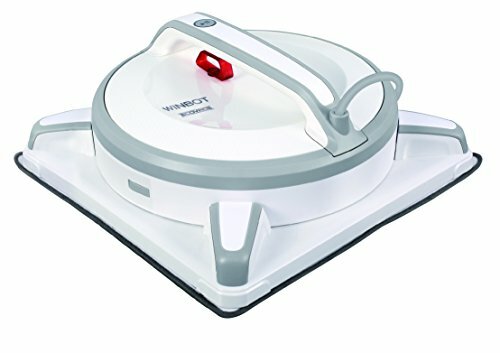 Where to buy his window cleaning robot ? Is a window cleaning robot effective for washing inaccessible windows? Does the window cleaning robot leave traces ? 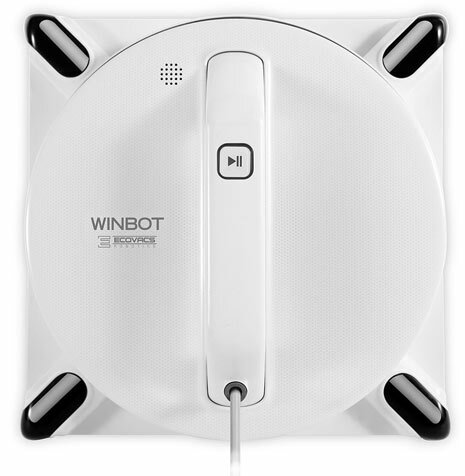 Top 10 : which window cleaning robot to buy? Your home is made of large windows and you do not know how to wash and make them shiny? Check out right away the window cleaning robot, which will greatly make this task as easy as pie. Try it once and you will not be able to do without anymore! But, there are too many models available on the market nowadays and it is sometimes difficult to make a choice. That’s why we have set up a small comparison chart of window cleaning robots that should help you a lot. Small in size, it is easy to store in the house and it works on all surfaces. The windows must have a frame and have windows at least 6 mm. The shape is designed especially to be equipped with 2 cleaning pads. The robot goes to the top of the window, and ends works down, producing a little signal to warn you at the end of the cycle. Really performant, its maintenance is simple, since you can put the skates to the machine with your laundry. Note that it can be guided by a remote control or with an Android or IOS mobile application. The robot has a 5.5 meter long electrical wire that is long enough to wash large glass surfaces. The Alfawise S60 robot is very compact and impressively effective on dirt. Maintenance is easy as there is no easiest way to clean it than to put it your washing machine. It is regrettable that the skates needs to be washed oftenly. It also produce important noise as it comes with a 67 Db. Finally, there is no hollow detection integrated. The highlight of the product is undoubtedly its quality-price ratio, which has already proven itself in the market. By choosing this model, you will necessarily be satisfied because it has a smart moving system which allows it to clean the requested surfaces very quickly. 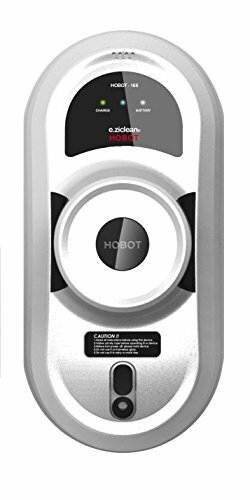 The E.ziclean Hobot is one of the only window cleaning robot to reproduce the actions of the man faithfully. We liked its powerful engine, efficiency on the encrusted dirt. Also, despite the dirty window, the result is beyond expectation as it does not leave any trace. Finally, it is not really noisy as it holds only 60 dB. However, it is less suitable for large areas. This model of window cleaning robot is marketed by Alfawise brand, and is well-known on the market thanks to its versatility, efficiency, and intelligent operation. With edge detection sensors, choosing this product will allow you to wash your window in no time. Whether they have edges or not. Its Smart Navigation system is very powerful. We appreciated this remote-controlled robot that has a sensor detection battery and intelligent operation called Smart Navigation. On the other hand, we found the robot a little noisy compared to other machines of the same type. 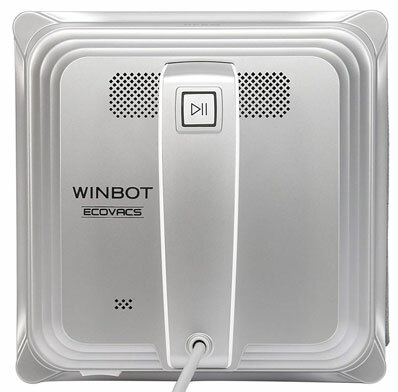 The Ecovacs Robotics brand is a brand specializing in domestic robots. This model ensures intelligent operation, high efficiency and an ideal adaptability. All types of windows can be cleaned with this equipment, regardless of the glazing, difficulty of access or surface. 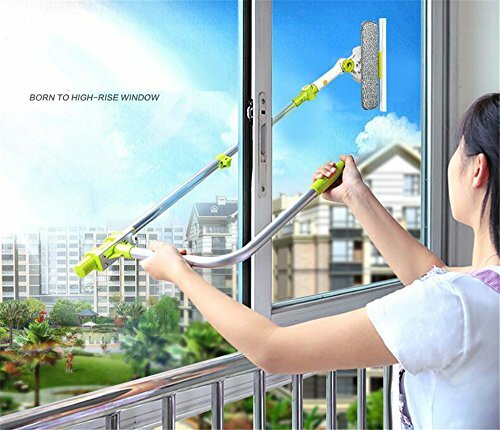 It has a square shape of small size (27 cm approximately), and cleans the windows in several stages: it humidifies, passes twice the squeegee then it wipes the window at the end. Firstly, it comes with a very efficient Smartdrive technology. 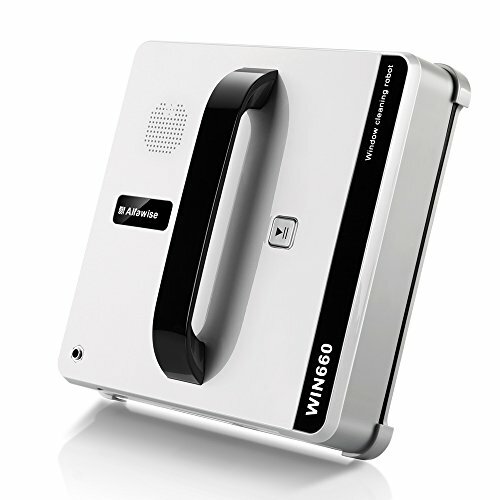 Secondly, the device offers a smart operating system with the ability to clean the outside or inside. 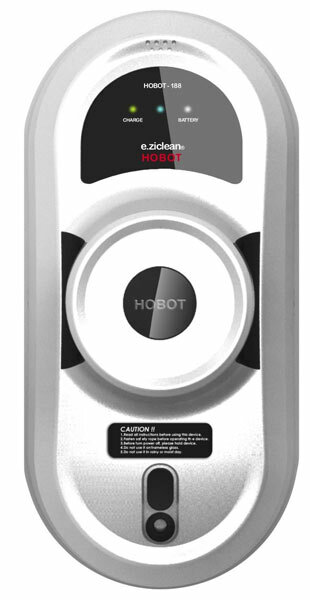 And finally, it is a silent robot with only 62 dB. There is no automatic shutdown function that would be pretty nice. Also, the price is slightly higher compared to other robots. ✓ Silent cleaning in 4 steps, it is effective on several types of glass. 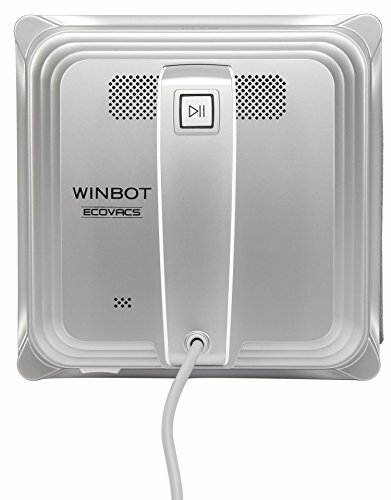 This model introduced Ecovacs, is a multisurface robot, which is very easy to use. 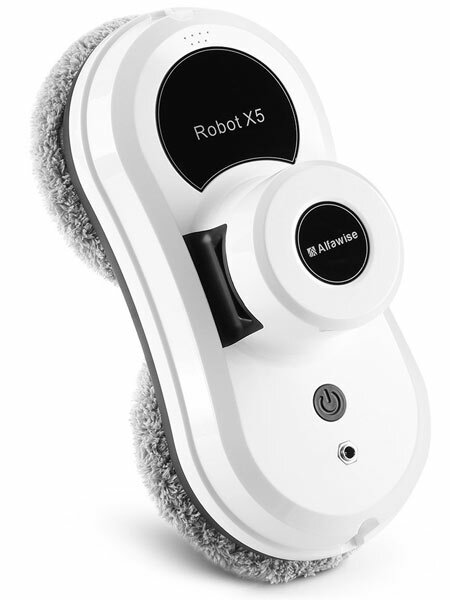 This is without a doubt one of the fastest cleaning devices, and it can move vertically as well as horizontally. 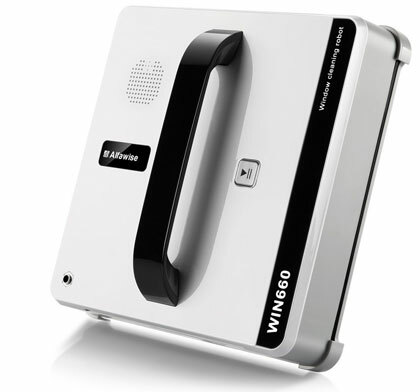 By choosing the W830, you can place it on a windows without edge bars, regardless of the surface. It is equipped with a high speed fan motor which gives it a very strong aspiration. The light weight makes it easy to move, allowing you to carry it with you if needed. It has a backup battery of 15 minutes in case of power failure. The advantages of the 830 model are multiple: it is easy to use, absolutely land-rover and very powerful with only 2.2 Kg. On the other hand, we found this cleaner not very effective on the encrusted tasks and locks itself easily on some obstacles. ✓ Soft impact protection, remote control delivered with battery backup. 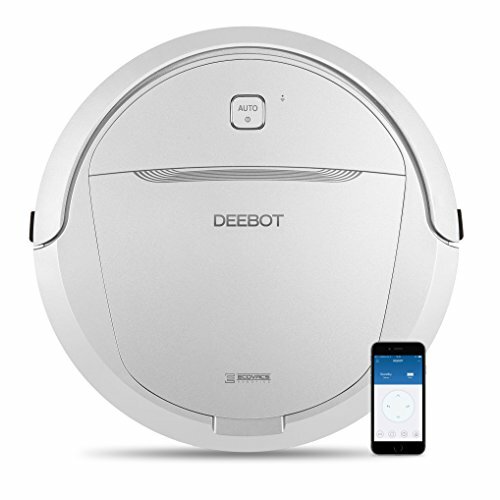 If you know or already have a robot vacuum cleaner, you are aware of the benefits of having a robot for household chores at home. 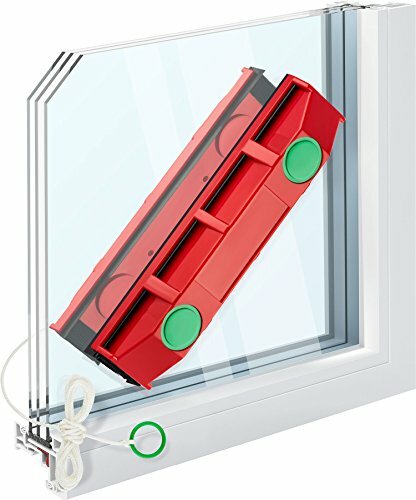 The automatic window cleaner is a device that is increasingly appreciated by people, especially by people who do not really have the time to focus on this daily task. By purchasing a window cleaning robot, you will not only have very clean windows, but in addition, you will be able to have access to them more easily. It is the perfect solution to have windows free of dust and trace and still saving a maximum of time. Its more affordably price makes it an increasingly popular item. 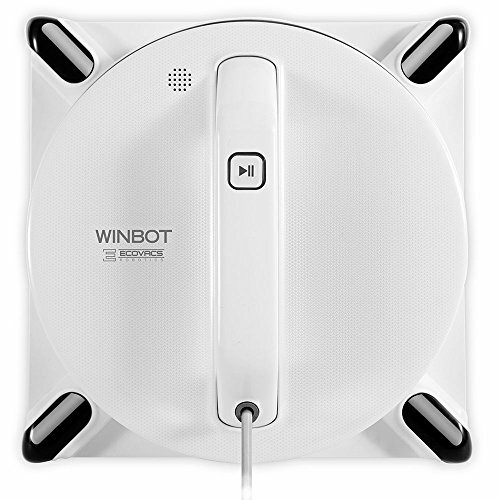 The low-end window cleaning robots are designed for perfectly smooth surfaces. But if you opt for a product a little more powerful, you will be able to have interesting options included. Most products available on the market can work on double glazing, tinted glass, treated, or other. But some need a window frame or a border for example. We recommend that you check these points so you do not have any bad surprises when you will use it. This is another important criterion to consider, because we do not necessarily think about it. The wire must be long enough for you to use the device with ease, and move if necessary. Check it out beforehand. There are also wireless models available on the market. Before buying your robot window cleaner, you can get information about the accessories sold in the package. Check in particular the number of pads provided, and if it can be purchased separately. It is important to check this so that you do not run out afterward. Be advised that several acessories can be included in the package in store or online. It is up to you whether you find it useful or not according to your objectives. 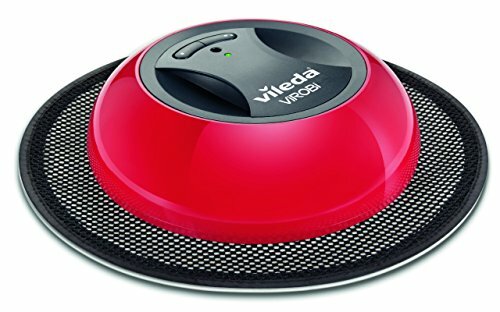 The majority of these products are relatively noisy, especially low-end models that are around 70 decibels. It is possible to find a level that approaches 60 dB if you increase your budget, but the difference will not be very important. The window cleaning robot is a product that is relatively expensive, and that is why it is better to turn to reliable brands such as LeroyMerlin or Castorama for example. You can also make your purchase online, like on Amazon, which offers many models. The advantage is to be delivered directly at home. If your budget is pretty tight, you can choose the manual glass cleaner. It saves time thanks to its aspiration function and offers a trace-free result at a low price. With the majority of window cleaning robots available on the market, you will not have to take out your stepladder. It is actually an effective product to clean all your windows, even those that are inaccessible. 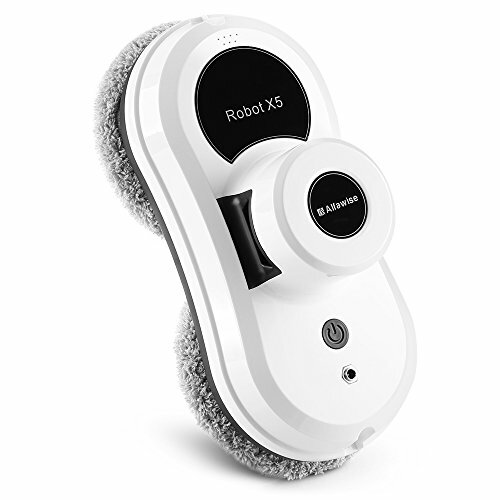 With a remote control provided, you can direct your robot wherever you want, without having to move your chair. So the answer to this question is yes, the device is really efficient. Depending on the product you are going to buy, it will leave more or less traces on your windows. Indeed, you are more likely to have traces with low-end robots rather than high-end models. 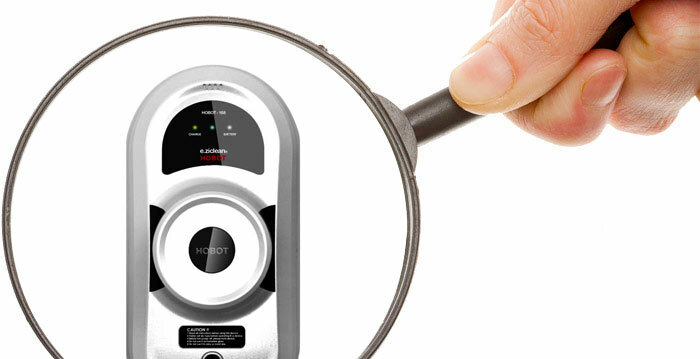 Note that small traces left by the devices can be removed quickly with a cloth. As you might know by now, there are multiple models of glass cleaner on the market. Your choice will depend on your budget and your desires, but you will necessarily find a device that suits you. We hope that our buying guide has helped you in your decision.